A rugged case with a good tactile keyboard suggests sensibility and functionality, and this is exactly what the BBC delivered in the day. Credentials were impressive. 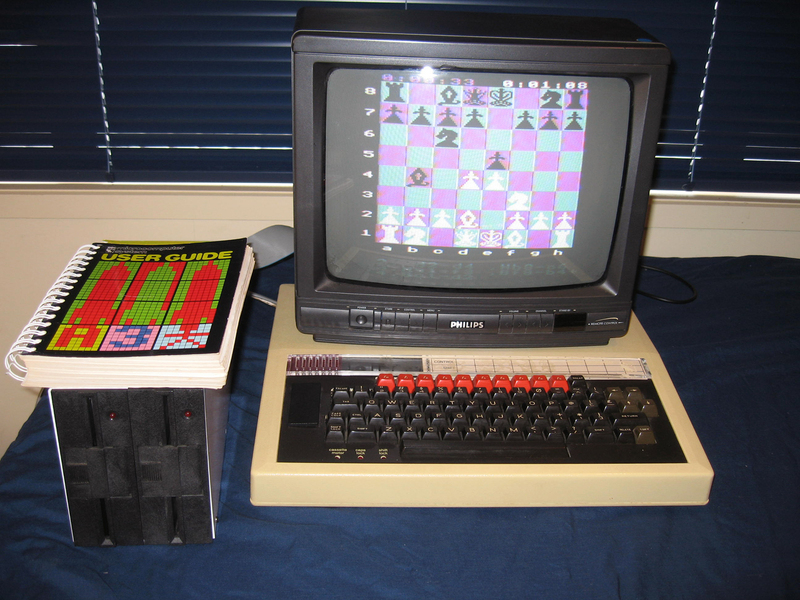 A 6502 processor, 32KB of user RAM and featuring one of the best versions of BASIC ever in a "home" microcomputer. Furthermore, the model sported a vast array of input/output ports allowing all types of interfacing options. The extreme specs were a result of "design-by-committee" where no feature was spared. Unfortunately this made the Beeb a costly item. Too costly really for the home market where the cheaper Vic-20 and Spectrum were selling like hot cakes. It's main niche was in education and many British schools were stocked with banks of these models. Here in New Zealand these microcomputers were incredibly expensive, and examples are few and far between! It never gained much visibility outside Europe but it is credited with being the first platform to host one of the all time greats of 80s computer gaming, the role-playing trading game "Elite". It happened first on the BBC but was quickly adopted by most other capable micros of the day. There are a couple of quirky traits with the BBC I'll note here. The first is the <BREAK> key. Rather than just stopping a BASIC program it actually resets the machine! ESC in the Beeb does what BREAK does for other micros. I've heard in schools they actually disabled the BREAK key because too many kids (who probably had different computers at home) would press it thinking the results would not be so drastic. The second quirky thing are some non-standard sockets. Both the video and serial connectors have very unusual pin arrays. This micro of mine came with its user manual and I've also got some really good floppy disk drives. Alternatively I can use my MMC solid state drive. As to software I've got the original "Introducing the BBC" software on cassette, and disk programs can be found from disk images on the Internet. Fun to own and a real classic!